30-day free trial: Start today and see how Plan to Eat helps busy households get healthy dinners on the table. Collect and organize your recipes, add those recipes to your meal planning calendar, and Plan to Eat will make your shopping list for you based on what you plan. Plan to Eat will give you the benefits of meal planning (saving money, eating better food, and eating together more often) while using your recipes, planned on your schedule! The Plan to Eat app gives you easy access to your recipes, meal plan, and shopping list while on the go, even when you’re offline. 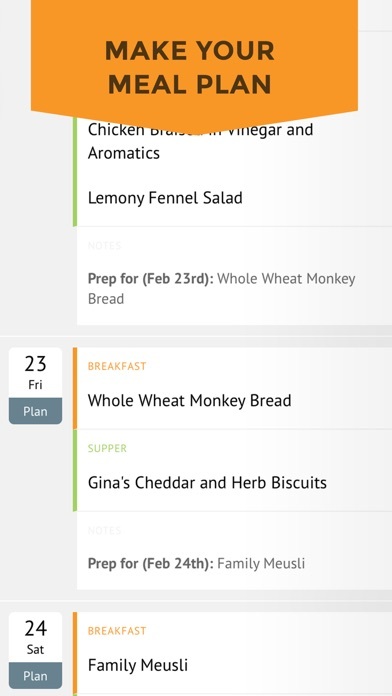 Everything in the app is automatically synced to your account on the Plan to Eat website. If you already have an account with the Plan to Eat website, log into your account in the app and all of your recipes and meal plans will be waiting for you. If you’re new to Plan to Eat, welcome! Plan to Eat is free for the first 30 days. There is no credit card required to start your free trial and no obligation if you decide that Plan to Eat is not for you. At the end of your free trial you’ll have the option to start an annual subscription for $39. 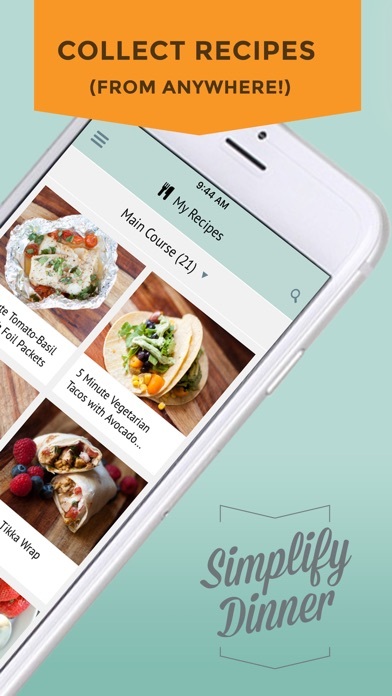 FEATURES • Collect your recipes from anywhere: import from websites or enter manually. 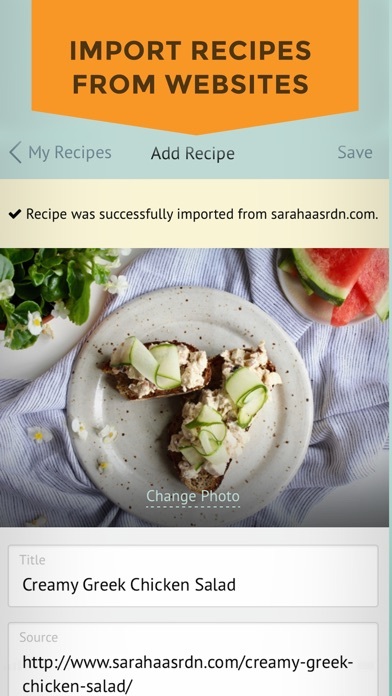 • Recipe Book: Access your recipes from anywhere! Use the recipe Cooking View to cook from a step-by-step version of any recipe on your list. • Meal Planner: Add recipes, ingredients and notes to create your meal plan. Planned recipes and ingredients are automatically added to your shopping list. View, cook and change the servings size for your planned recipes. • Shopping List: Your personalized shopping list is made automatically by selecting a date range from your Plan to Eat planner. • Add or edit your stores and grocery categories to customize a shopping list that is perfect for how you shop. • Check items off as you shop to stay organized while in the store. • Add or edit items on your list. Plan to Eat will automatically select the store and grocery category based on what you’ve selected in the past. • View planned recipes associated with items on your grocery list. • Use the Staples List to add common, and often forgotten, items to your shopping list. • All of your recipes, planned menus, and shopping lists are also available on the Plan to Eat website. Simply log into your account in any web browser. If you have questions or feedback, reach out to us at help@plantoeat.com Thanks for using Plan to Eat! Finally found something that works! I have been using Plan to Eat for several years now and it keeps getting better! I finally found a meal planning/shopping list that works for me. I store everything in Plan to Eat and it makes it so simple to change my menu according to store sales, craziness etc. I can pull up recipes in the app and then add the ingredients to my list right in the store and now I don’t have tons of recipes on scraps of paper cluttering my cabinets. Highly recommended! I found this app several years ago and decided to give it a shot. I have a bookcase full of recipe books and binders full of printouts from recipe sites. This is the first time I can actually find the recipe I want using PTE. I can add and delete at will; sometimes I hand-enter favorites that I want to find quickly. Importing recipes from the internet is a breeze. I don’t know how to function in the kitchen and do meal planning without PTE anymore. I tell everyone who will listen about Plan to Eat. I’ve used the web site for a few years, and the app has been a welcome addition. My goal is to cook good meals that create as little food and financial waste as possible. This helps me use ingredients over several meals. It also helps me coordinate dinners for my rotating family of six. Well worth the cost when you use it as much as I do. One of my favorite apps. I truly love this app. It makes meal planning doable for me. Saving my recipes so that I can easily find them again. 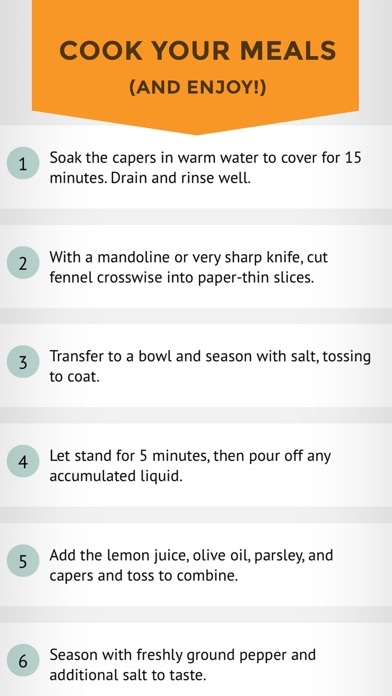 They’ve made it super easy to save recipes from the web on your computer or phone. I’ve been using the web version for several years and the app has made it even easier. Having the shopping list accessible at any time is the best. Thank you Plan To Eat!!! Love the app. Glad I can take my grocery list to the store. Only issue I have is sometimes the categories get messed up when I go back into the list. Otherwise, love using it! 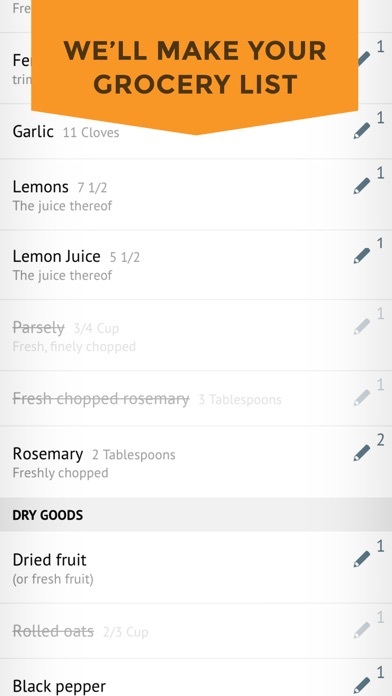 Love being able to import recipes from anywhere...love the ease of the shopping list! 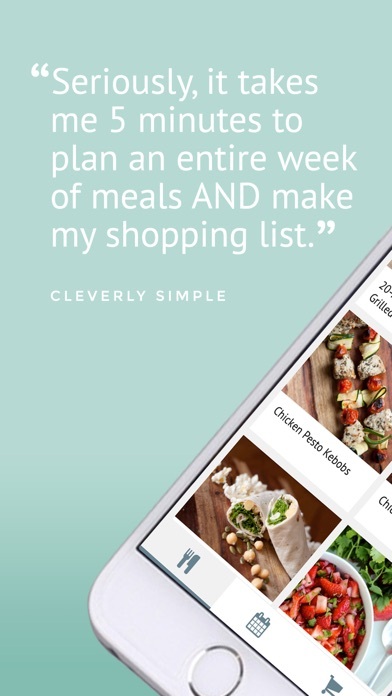 Makes planning meals and shopping so much less hassle! This is everything in one place! I love that I’m able to customize the stores and categories. I love that it makes my grocery list for me. I use this every week. And I couldn’t tell you how much this has helped cut down on wasteful spending at the store. Very much worth the yearly subscription! The only thing that would make it better would be ... to be able to customize the order of store categories instead of it being alphabetical. But that is nothing compared to everything else this does for me. If you never change that...I will still love this app just as much. I have used paprika for years but the function to plan for the week and add to the shopping list in one step is amazing. We have 2 in our house so I think the scaling of servings to automatically adjust the shopping list is amazing. Thank you! The only part of my life that feels under control! App requires an account that is $39 per year.